Only very few brands still dare to create pocket watches today. Many consider pocket watches as excessively vintage watches, out of their time, and for hard-core collectors. So the fact that Ralph Lauren has decided to go that way and release a (very) limited edition of a pocket watch makes it all the more intriguing. 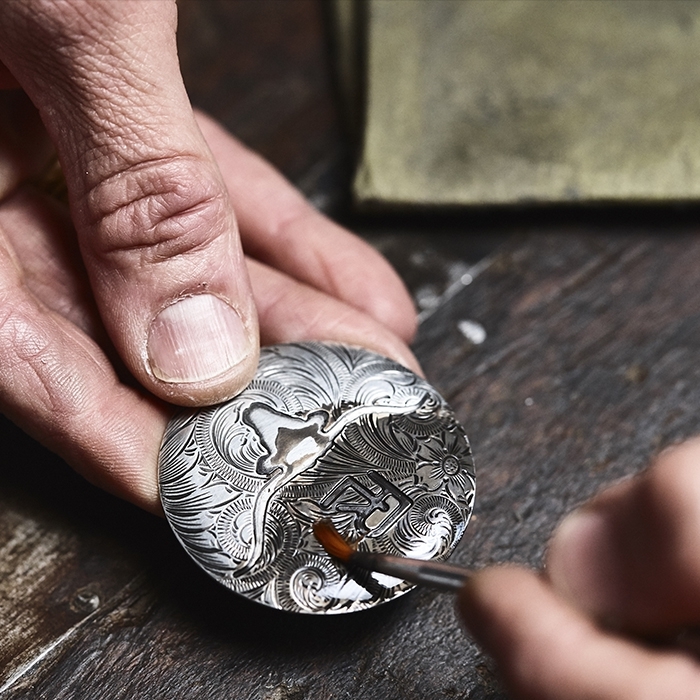 Ralph Lauren watches has a niche positioning within the watch market: an American watch brand producing watches with high-end Swiss mechanical movements. 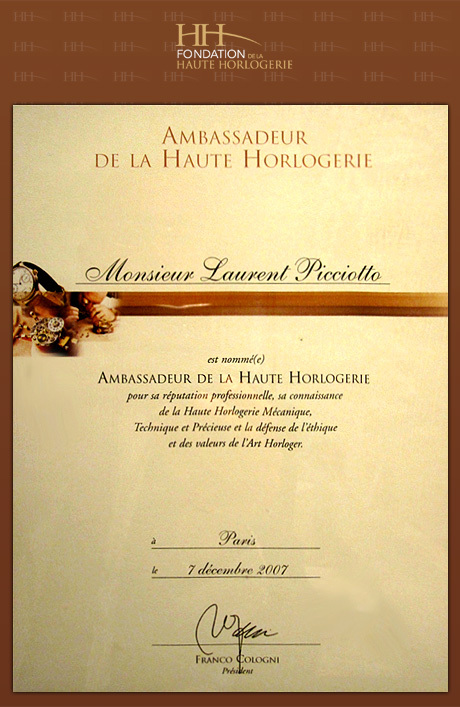 The impressive feature about Ralph Lauren watches is that whatever the collection, there is something special about it. Something that makes the collection genuinely remarkable. 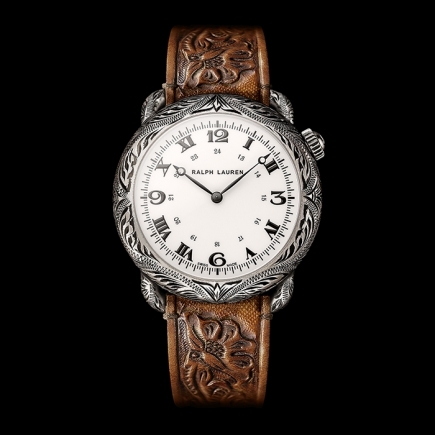 With the release of its new Ralph Lauren American Western collection, Mr Ralph Lauren wanted to create an attractive, unique and authentic collection. For his American customer base, but not only. He was aiming to design a Ralph Lauren collection to his image. A watch that would reflect his personality. 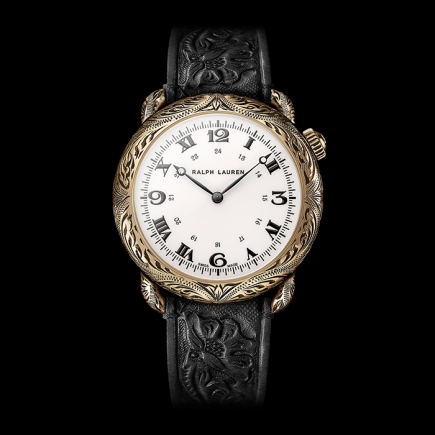 And within the Ralph Lauren American Western collection, the most special watch is definitely the Ralph Lauren pocket watch with steer-head detail on the cover. 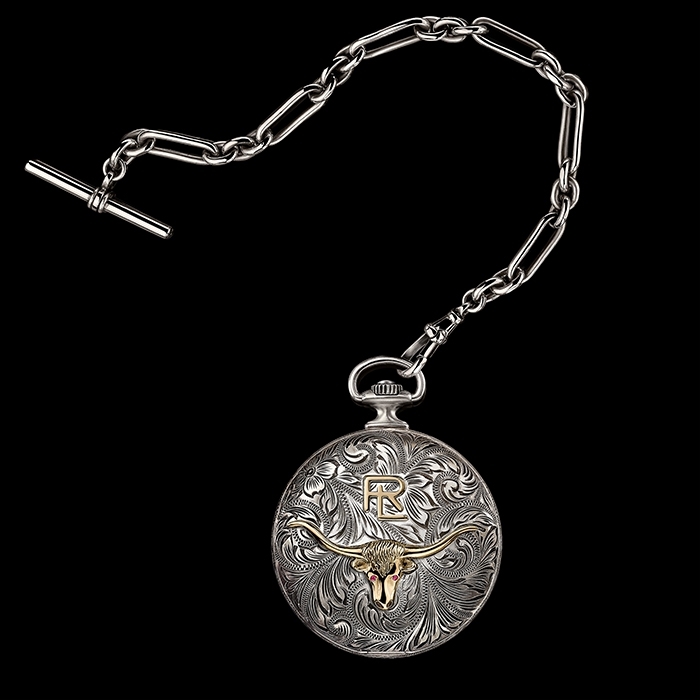 The Ralph Lauren American Western pocket watch with steer-head is a 50 mm round piece of art in antiqued sterling silver. Since this is a pocket watch with an antiqued sterling silver chain, no burnished leather can be admired on this watch of the American Western collection. However, this pocket watch model in antiqued sterling silver features a beautiful cover (also in antiqued sterling silver) on which golden details have been delicately positioned: a gold “RL” logo on the upper part and a steer-head in gold on the lower part. The contrast between the antiqued sterling silver and the rose gold details on the round cover of the watch case is sublime. 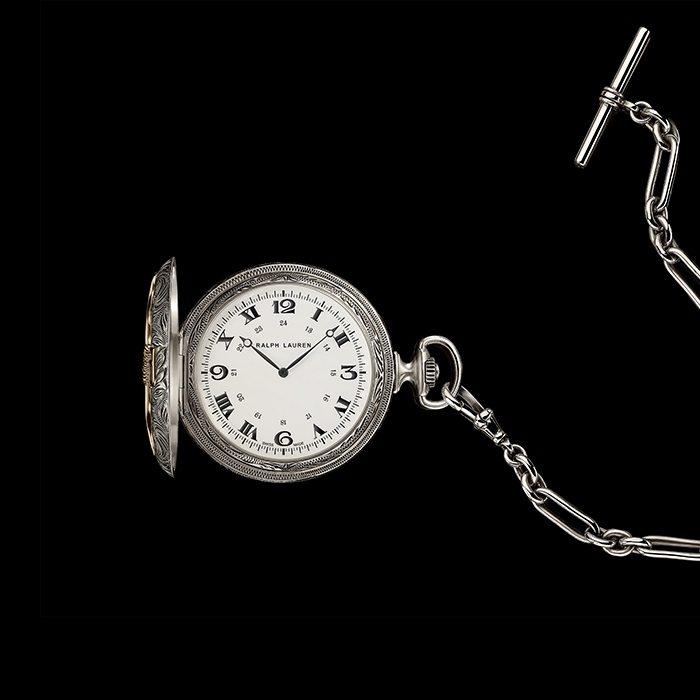 What Ralph Lauren has placed within the case is not less impressive since this pocket watch is equipped with a Swiss caliber produced by IWC for Ralph Lauren. It is extremely rare to see an IWC caliber placed in the watch case of another brand, so this makes the Ralph Lauren American Western pocket watch all the more special. If we take a closer look at the dial of this very special pocket watch, it is in off-white colour and features a Breguet-style hour hand and minute hand. 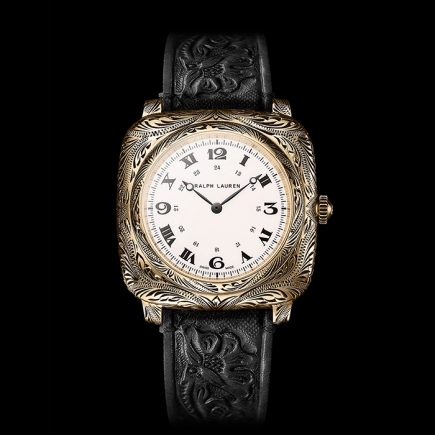 This type of hand was the perfect choice for this Ralph Lauren pocket watch and comes as a continuation of the floral engravings on the antiqued sterling silver case of the watch. This pocket watch is definitely very special and ideal for the neo vintage dandy gentleman concerned by authenticity and care for detail.